AVON, Conn. - OFS, Specialty Photonics Division (OFS), a leading provider of specialty optical fiber, cable, and assemblies, will exhibit for the first time at the 2010 American Society for Laser, Medicine, and Surgery Conference (ASLMS); located in Phoenix, Arizona, on April 15-17. 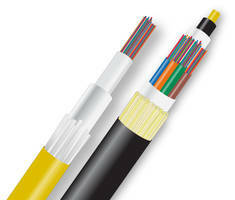 OFS will showcase its HCXtreme(TM) optical fiber, cable and assemblies designed specifically for the medical industry. 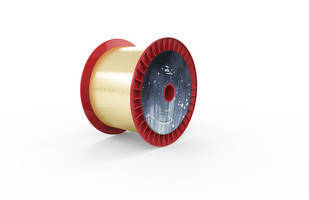 "We developed HCXtreme(TM) fiber as a direct response to our medical customers' needs for tighter bend performance under higher laser power," said Michael Fortin, Vice President of Sales & Marketing. "Our recent investment in low bioburden rooms, an enhanced quality management system, and product developments underline our commitment to the medical industry." Mr. Fortin continued by saying, "This is our first time exhibiting at ASLMS, and we are very excited. The medical industry is a natural fit for our different lines of fibers and assemblies and for how we work with OEMs to deliver a tailored solution for each application." OFS will exhibit in booth number 218. OFS will also show blue and green lasers from their Optical Components Group. The green laser is 20 mW and is used in analytical and therapeutic applications. The blue is a 488nm Second Harmonic Generation laser designed to meet the special requirements of bioinstrumentation applications. All OFS, Specialty Photonics Division, facilities are certified to ISO 9001. The Avon facility, where the majority of OFS medical components are manufactured, is ISO 13485 certified. 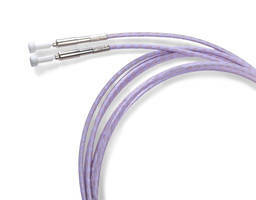 Medical components manufactured in Avon include both disposable and reusable probes, fibers, and assemblies. To learn more, go to www.SpecialtyPhotonics.com. OFS is a world-leading designer, manufacturer and provider of optical fiber, optical fiber cable, FTTX, optical connectivity and specialty photonics products. Our manufacturing and research divisions work together to provide innovative products and solutions that traverse many different applications as they link people and machines worldwide. Between continents, between cities, around neighborhoods, and into homes and businesses of digital consumers we provide the right optical fiber, optical cable and components for efficient, cost-effective transmission. OFS' corporate lineage dates back to 1876 and includes technology powerhouses such as AT&T and Lucent Technologies (now Alcatel-Lucent). Today, OFS is owned by Furukawa Electric, a multi-billion dollar global leader in optical communications. Headquartered in Norcross (near Atlanta) Georgia, U.S., OFS is a global provider with facilities in Avon, Connecticut; Carrollton, Georgia; Somerset, New Jersey; and Sturbridge, Massachusetts, as well as in Denmark, Germany and Russia. OFS, Specialty Photonics Division, is the industry leader in optical fiber design or modification for highly specialized or customized applications. 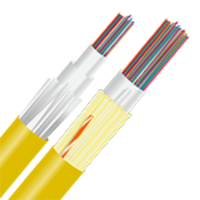 It supplies advanced optical fibers, including specialty multimode, specialty single-mode, rare-earth doped, polarization-maintaining and other nonstandard fibers. 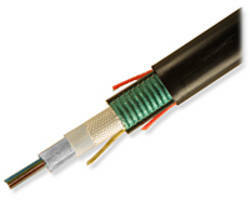 It also manufactures specialty cables and connectors, and other specialty products, such as high-power laser components.